TONOVET, from Icare Finland, is a device to accurately measure the intraocular pressure of animal patient eyes. Too high or too low pressure can be a symptom of a more serious eye disease. It's perfect for wildlife, or any animal for that matter, as it is painless, barely noticed by the animal and it does not require anesthesia. 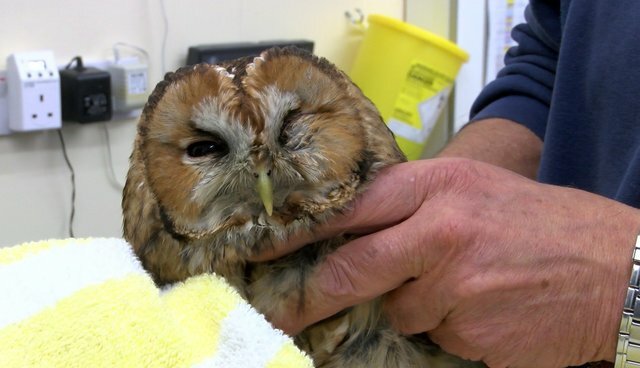 We recently used it on a tawny owl that had suffered head and eye trauma after a road accident. We needed to check him for glaucoma, and he didn't even flinch during the procedure! The TONOVET tonometer is a marvelous device! We always need lots of things for the hospital. If you prefer to buy us a gift rather than donate money to us, please do take a look at our Amazon Wish List.